Now, many of you who have previously lived with me or been to my house may have noticed I'm a bit of a recycling nut. My Mum has always recycled stuff ever since I was little - we even have a composter outside for organic stuff, and a rabbit next door for unwanted bits of veg! So I have pretty much taken it for granted that recycling is just a thing you do, and I do it without thinking about it. So understandably, I have often been surprised at the amount of people that don't - it's not that they don't want to, it's usually because they don't know what can be recycled, and don't want to take the time or effort to find out. It's also surprising to me how many local authorities don't offer full recycling capabilities - In Kingston Upon Thames we had two green boxes, each for different things, our wheelie bins, and a brown-box scheme, which basically meant you could lock away food waste in a different bag, and not only is this better for recycling, but foxes don't try to munch on all your rubbish too! When I lived in the Newham area (East London), they also had a good (although not as good - no brown box) recycling scheme, where they provided special orange bags for recycling, that had written on them what you could put in them! Couldn't be easier! Imagine my disappointment then, when I got to Colliers Wood (Wandsworth area), and found that not only do they only provide one green box, with no easy-to-access information about what to put in it (because let's face it - if you're not me, why would you go to the trouble of checking up on a council's website to find out what to recycle?) - but they don't even provide wheelie bins! Since a large bin is hardly something you can pick up on your way home from work, I have never got around to getting one, and I feel rather indignant about buying something that should be provided anyway (much like the rest of the street it seems). So every Wednesday night we put out our black bags, and every Thursday morning, the street is filled with rubbish from the foxes tearing apart the bins (because of course, there is no brown box scheme). I guess that's why the Kingston Upon Thames council tax is rather high, whereas Wandsworth boasts being one of the lowest in London. You get what you pay for. Anyway - the point of this post, is that I have provided for your pleasure a useful little widget on the left hand side of my page that tells you what can be recycled, and where to do it! 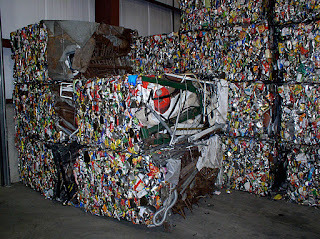 Recycling is excellent - I am totally on board with you! Our council stopped taking plastics in April 2011 because they wanted to cut costs. I always take all my recycling to the recycling centre, but it was a massive blow for people who are unable to get out and about. Our area already has a very poor rate of recycling and it's a shame that the local authority is taking such a stance on this issue. Ho hum.